Whereas its predecessor, It Takes a Nation of Millions to Hold Us Back, rewrote the rules of hip-hop, sampling and popular music to follow, Public Enemy’s third album is their strongest. 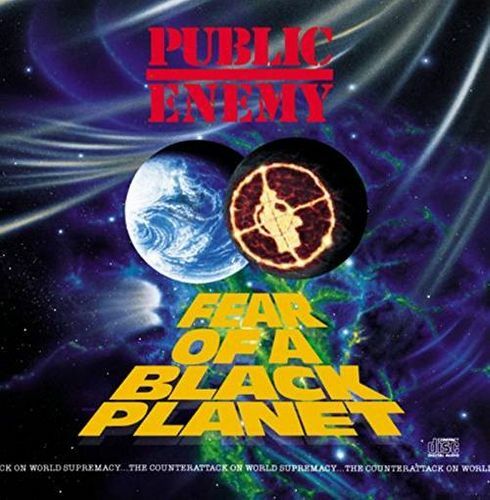 Chuck D’s socially and politically charged lyrics and Flavor Flav’s animated persona were never more potent than on tracks like “911 Is a Joke” and the furious title track, while the Bomb Squad’s production took sampling from across rock ‘n’ roll, funk and reggae and strew them together into a breathing Frankenstein of sound. This record’s impact on hip-hop and its perception by a wider world can’t be underestimated, and it stands as one of the greatest of the genre. With this two-CD reissue, we also get remixes of “Brothers Gonna Work It Out” and “Can’t Do Nuttin’ for Ya Man,” instrumentals, different mixes of Black Planet’s galvanizing closer, “Fight the Power,” including a version with a conversation between Flavor Flav and Spike Lee, who would use the song for his landmark film, Do the Right Thing. Fear of a Black Planet is a piece of history that everyone should own, but as this reissue shows, this album is no museum piece—it’s so endlessly engaging that it feels alive.